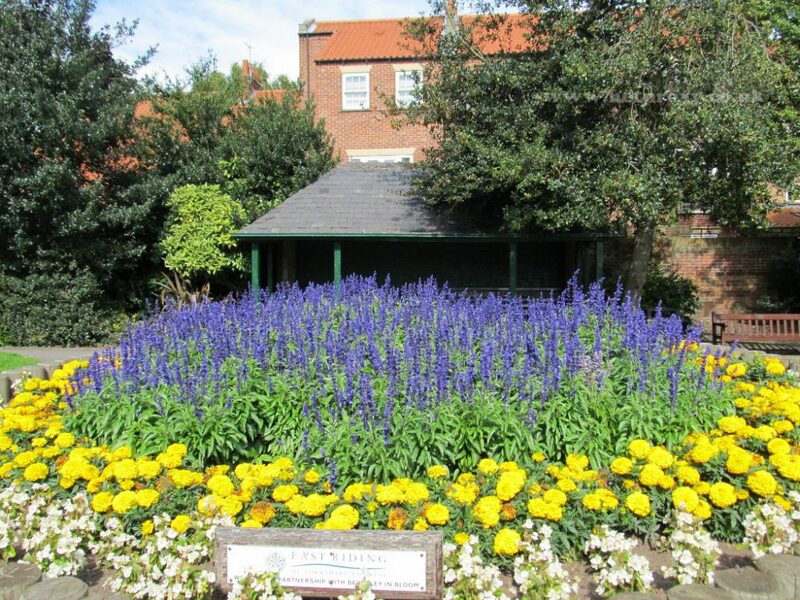 Welcome to this delightful little garden on the corner of Lord Robert’s Road in Beverley, it is blessed with a choice of seats suitable for all weather conditions. 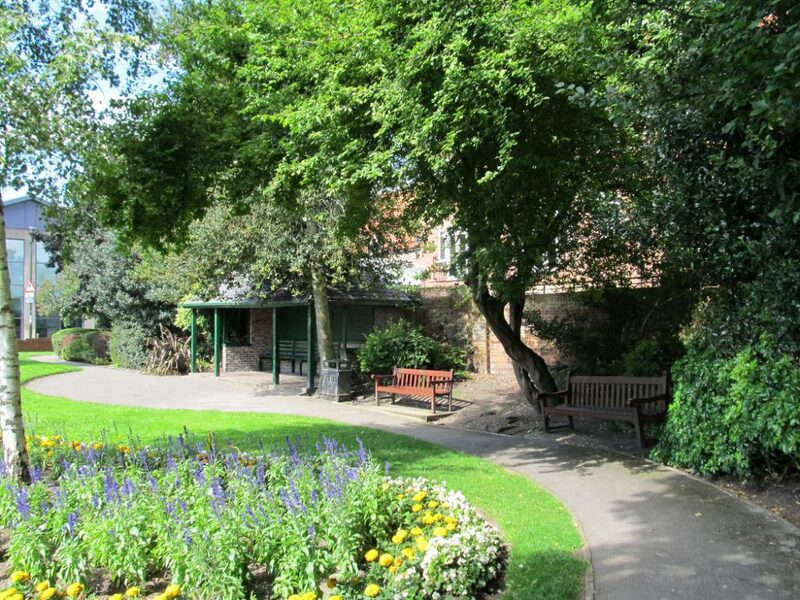 A roofed shelter to keep off the rain, a shaded seat to hide from the sun or a south facing unshaded bench where you could top up your tan. Very brave sun worshipers could lay out on the grass but bare in mind you would be on view to any passing pedestrians or from the top deck of a bus. 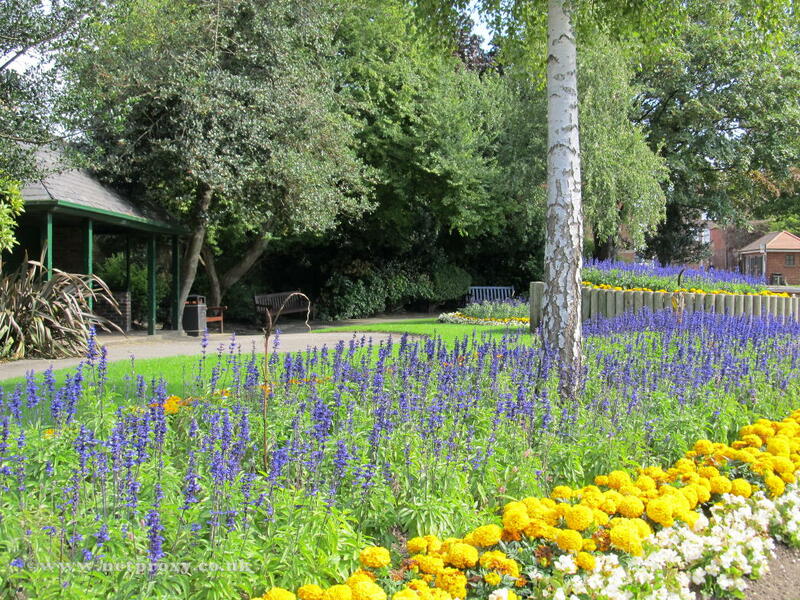 This year the colour scheme for the flower beds is white, yellow and blue. (varies each year). 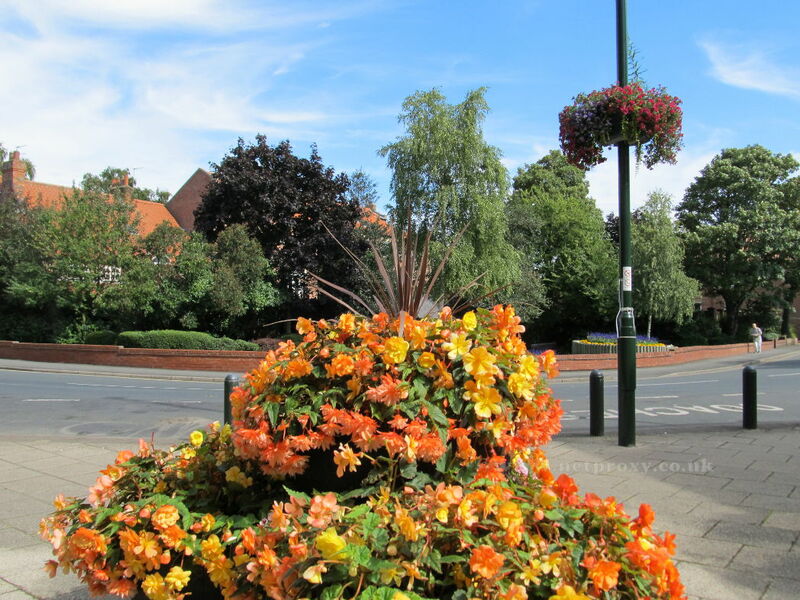 A view of the garden from the flower tubs by the Law Courts and East Riding Theatre. The flower beds and grassed area are well maintained by the East Riding of Yorkshire Council.